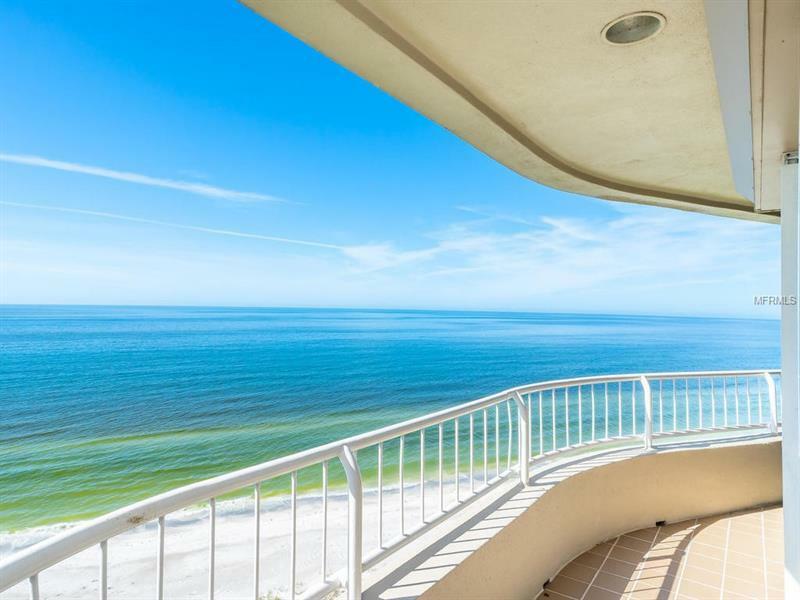 Relish in absolutely stunning, unobstructed views of the Gulf of Mexico in this rarely available, and true 3 bedroom, 3 full bath penthouse at Beaches on Longboat Key. This extraordinary beachfront residence features expansive 10 foot ceilings, a large gallery and foyer perfect for displaying art, open living space with floor-to-ceiling windows and doors providing incredible views of the horizon, 3 en-suite bedrooms including a luxurious master suite with walk-in closets, a stylish kitchen showcasing SieMatic cabinetry, granite countertops, Miele, Dacor, and Sub-Zero appliances, and a cozy breakfast nook. Custom touches include tray ceilings, tile flooring, hurricane shutters, and bedroom windows that open so you can hear the crashing waves and sounds of the sea. Whether you step out onto the spacious wraparound terrace or decide to take a stroll on the beach, you will indulge in the endless views of the legendary Florida sunset. Located behind the gates of the prestigious Longboat Key Club on the South end of the island, Beaches offers a wide variety of amenities including impeccable 24-hour concierge service, fitness center, on-site management, club room with catering kitchen, heated pool & spa, 2 elevated tennis courts with a view, and over 650 feet of pristine beach. Where else can you find this level of luxury beachfront living so close to downtown Sarasota and with 18 holes of award-winning island golf located right behind you? Additional Water Information: The beach is public however there are no public access points nearby. Most everyone on the beach is a resident of a beachside residence or a bayside residence that has beach access.